Thank you for your interest. Application period is now closed. possess advanced training and understanding of classical and contemporary ballet, with experience in modern dance and improvisation encouraged. be 16-22 years of age at the time of the Fellowship. be available for the entire two-week program. 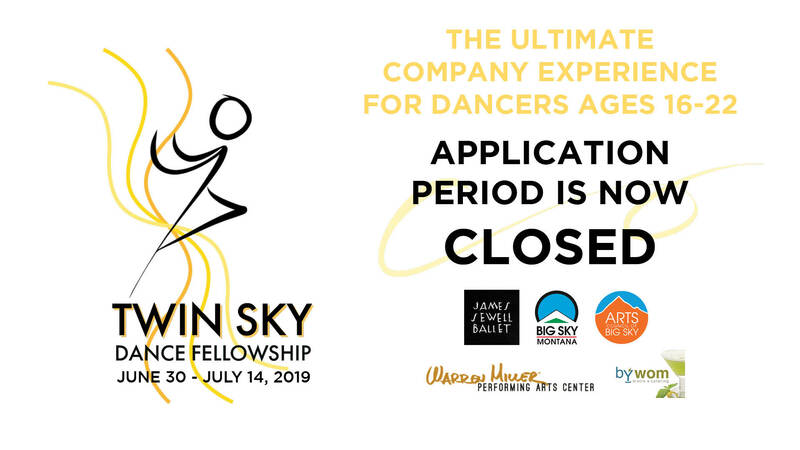 The Twin Sky Dance Fellowship is a partnership between the Warren Miller Performing Arts Center and James Sewell Ballet. The curriculum is designed to build technique and performance skills in an unparalleled natural environment working directly with James Sewell and members of his company. The combination of minimal distraction, high level instruction and the adventurous spirit of the mountains provide a unique opportunity for artistic growth and innovation. Every dance fellow in the program is paired with a professional dancer, who provides daily instruction and support. Professionals and students intertwine throughout the learning experience in a collaborative setting. The program is intentionally designed to focus on a small number of dance fellows in order to facilitate the intense development of each participant. Along with daily ballet, core strengthening, and improvisation classes, new choreographic work is developed and presented at the end of the session in a culminating performance at the Warren Miller Performing Arts Center. Professional dancers in the program continue on to premier new work through the upcoming season with James Sewell Ballet. Up to 6 Dance Fellows will be accepted into the program this summer. The Fellows’ benefits include over 90 hours of professional training, shared accommodation at Big Sky Resort, local transportation, and three meals a day. The tuition for chosen applicants is free of charge. James Sewell Ballet and Warren Miller Performing Arts Center are able to host, train, and nurture its Dance Fellows due to the generous contributions from corporate sponsors and individual donors. Fellows are simply responsible for their travel costs and arrangements to and from Big Sky, MT, and for their equipment (shoes, dance wear, etc.). Mountain activities in Big Sky including White-Water Rafting, Hiking, Exploring, and more! ◊Thursday, July 4th: Fireworks in the Meadow, 9pm. ◊Saturday, July 6th: Half day of rehearsals, followed by lunch and a hiking trip! ◊Sunday, July 7th: Whitewater rafting in the morning, hiking in the afternoon. A day off from dancing. ◊Wednesday, July 10th: Flea market shopping after dinner, until 8pm. ◊Thursday, July 11th: Music in the Mountains free concert series in the Meadow, 6-8pm. 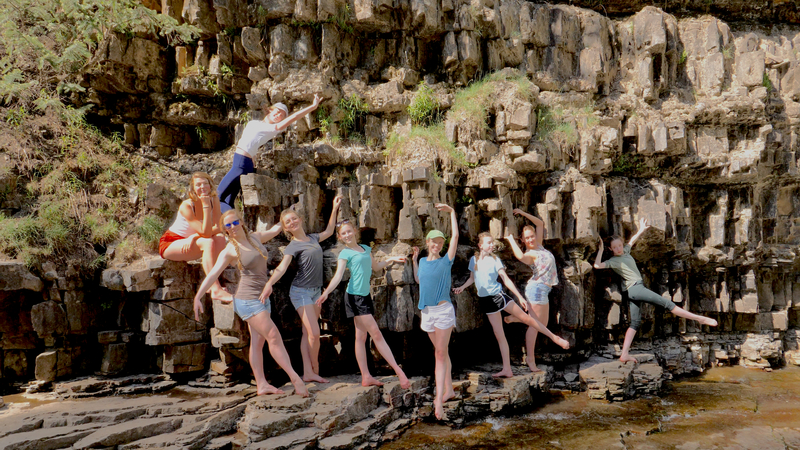 Students posing on the rocks during their weekend hike to Ousel Falls. 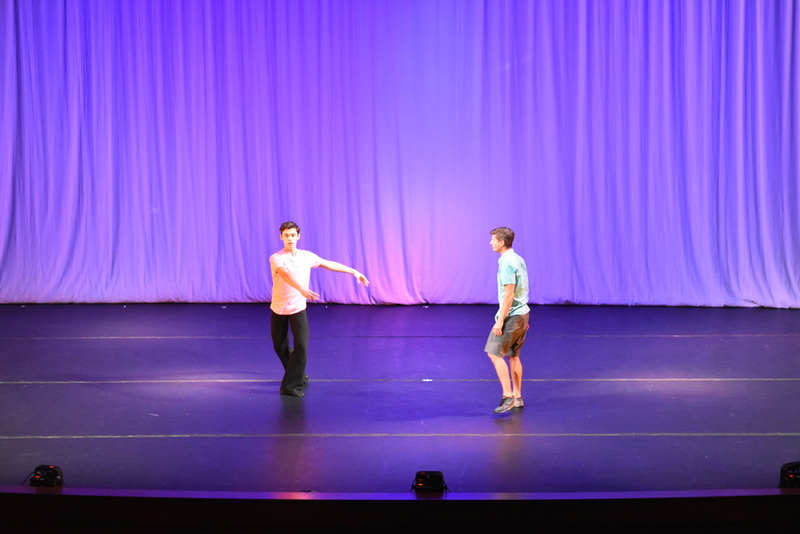 A student preparing to demonstrate a pirouette while James Sewell observes.